Basement flooding can be caused by many different reasons – severely bad weather, overflowing nearby rivers, backflows from drains and sewers, or busted pipes. Whatever the cause of your flooded basement, it is important to know what to do should it happen. Flooding carries a slew of health risks. Electrocution, injury from slipping and falling, and getting infections from the contaminants are just some of the biggest and most common safety hazards. Never get into the water unless it’s completely necessary and do it only after you’ve turned off the electricity via the circuit breaker. Wear rubber boots, preferably with good traction, and avoid getting into contact with the water. Try to leave as fast as possible! Gas leaks are also probable during basement flooding; if you smell the slightest hint of gas, leave the premises immediately and call for help from your 4Star Plumbing or from the authorities. DO NOT LIGHT UP ANYTHING, PLUG IN APPLIANCES, OR EVEN USE YOUR PHONE! Just vacate the house as soon as possible. If the flooding is due to your own drains and exit pipes, stop using fixtures and appliances connected to them. Do not use toilets, sinks, dishwashers, washing machines, dryers, and anything that will bring water to the drains. Using them will only make your flooding situation worse. 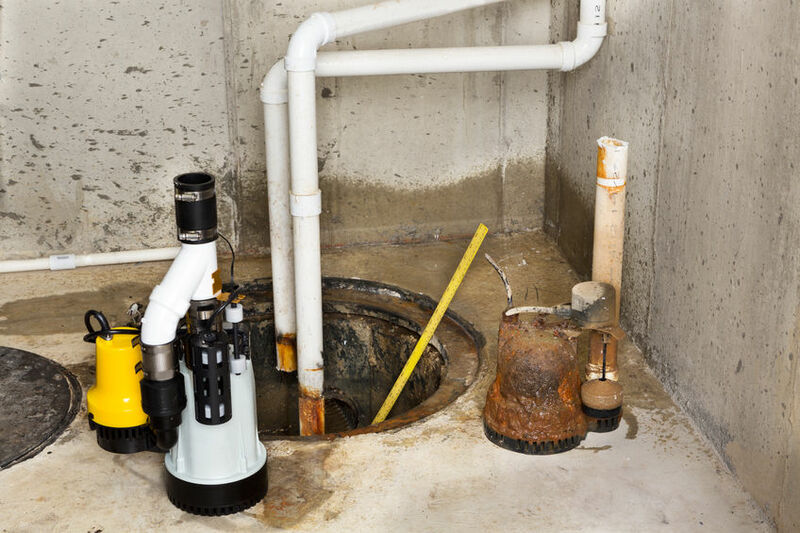 If you own a sump-pump, you have to plug it in ONLY when you’re sure that the electric outlets are not compromised by water. The safer way to go, however, is to hire a service company that provides pumping services. They can safely remove the water from your basement. Remove everything that can be removed from the basement. Take out furniture, carpets, and appliances when all the water is pumped out. Wash items that can be washed, like furniture and carpets and get rid of those that are unsalvageable. Dry out cloths and fabrics COMPLETELY in the sun to avoid them developing stench. Do not plug in appliances until you are completely sure that they are completely dry. Wet appliances, when plugged in, pose the risk of shocks and circuit burns. Make sure to use disinfectants where necessary. Do not mix bleach and ammonia because they create toxic fumes! Open the windows and create as much room as possible in the basement. Using fans and humidifiers also helps provide additional ventilation to the basement. Get your basement checked for molds, mildews, and structural damage. For emergencies like these, or plumbing measures to help prevent plumbing and sewer-related problems, you can always call 4Star Plumbing Services! We have courteous professionals available to answer even your most unexpected need 24/7, all-year round – including holidays. Don’t hesitate to call us at 954-776-9888 for your Fort Lauderdale plumbing needs!